Lately, I've been trying to get my solicitation game going again (as well as writing in general, but submissions in particular, because I have a few older things that I still think are worth having a home). Some of the payoff for that is now available. "Detritus" is a short story with asteroid colonies, genetic plagues, a giant scientist, twisted relationships, and a justifiably cranky detective coping with all of them the best way she can. 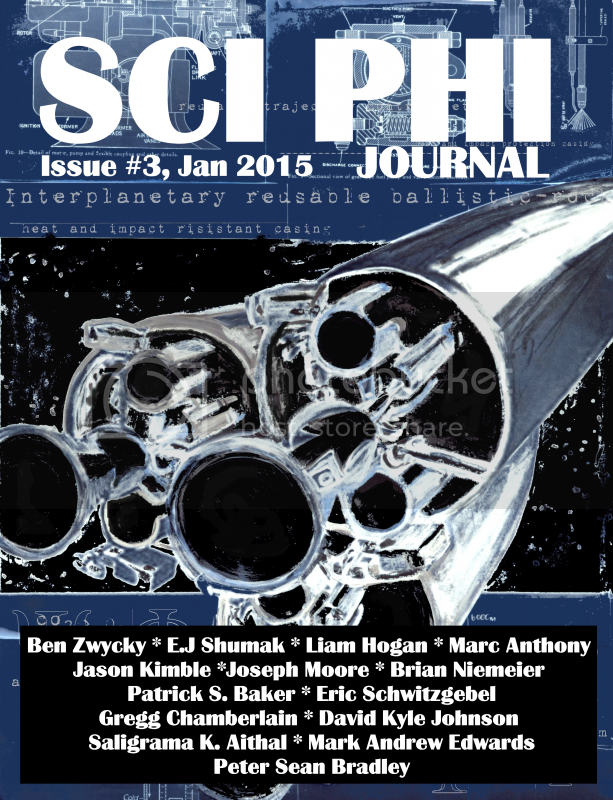 It's just gone live as part of the third issue of Sci Phi Journal . I've been playing with the world of "Detritus" for a while now, but this story was the first, so I'm incredibly excited that it's finally out there. Clicking the cover art to the right takes you to the Amazon page for the Kindle edition, but it's also available in EPUB format at Castalia House, and in both MOBI and EPUB over at Smashwords. No matter where you get it, the electronic version is a measly $3.99, so you don't have to burn all your Christmas money on giving it a try. Issue #3 also marks the publisher's first stab at a dead tree version, so if you prefer yours in hard copy, that should be available via CreateSpace within the next day or so. Keep an eye on this link for those. Print copies will run $7.99.